When a rock band writes an ode to your city and names it "Dirty Water," it doesn't exactly make you want to go for a swim. Boston's Charles River is the Dirty Water of the Standells' classic record but, according to the Environmental Protection Agency (and against conventional wisdom), the water just isn't all that dirty anymore. The E.P.A., which gave it a D grade on its first annual report back in 1995, upgraded the Charles to a B+ last year. Earlier this month the Charles River Conservancy hosted the first public recreational swim in the Charles in more than 50 years - since public swimming was banned in the 1950s. Mention swimming in the Charles to a Bostonian and the reaction will usually be, well, unenthusuastic. We are starting to warm to the idea, though, after reading about the recent public swim. There were 144 people registered for the community event swim on July 13th; and another 80 were on the waiting list. Bostonians can thank the Charles River Conservancy, which launched the Swimmable Charles Initiative in 2004, for reclaiming public access to the formerly Dirty Water. 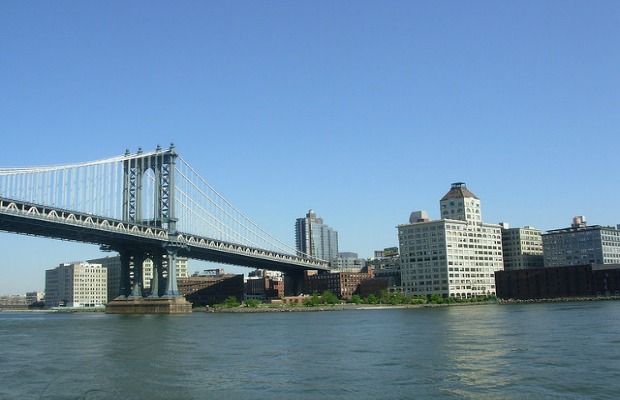 The Conservancy claims that the river is now one of the cleanest urban rivers in the United States. For a taste of the Hudson without the associated health risks, we like the Beacon River Pool, around 50 miles north of New York City. The pool was created by local resident and folk legend Pete Seeger and features a 20-foot wading pool floating on the Hudson's shore. The pool is partially submerged, allowing river water to flow through in the style of the floating bathhouses common around Manhattan in the 19th and early 20th centuries. The Beacon River Pool is open Tuesdays through Thursdays from early July until Labor Day. As for the rest of the Hudson's waters, particularly around New York City, tread carefully. Although it is cleaner than it has been in years, and there are some conceivable spots (at very specific times) for a dip, raw sewage still contaminates much of the water, and P.C.B.s, pumped in for 30 years by General Electric, sill linger in the sediment. To make matters even worse, high levels of antibiotic-resistant bacteria were recently discovered in the water. If you must swim in the city's waters, at the very least, keep out after heavy rainfall when raw sewage is commonly diverted into the river. The L.A. River is another example of a former source of food and fresh water that has been abused by urbanization – to such a degree that it convincingly stood in for a post-apocalyptic wasteland in Terminator 2:Judgement Day. On Memorial Day this year, however, a two-and-a-half-mile stretch of river running through Elysian Valley opened to the public for kayaking, fishing, and walking. It is the first time that the river has been open to public recreation since it was encased in concrete and designated a 'flood control channel' back in the 1930s. The opening of the stretch of water is only a pilot program, running until Labor Day, but if it is successful, it looks set to become an annual event. 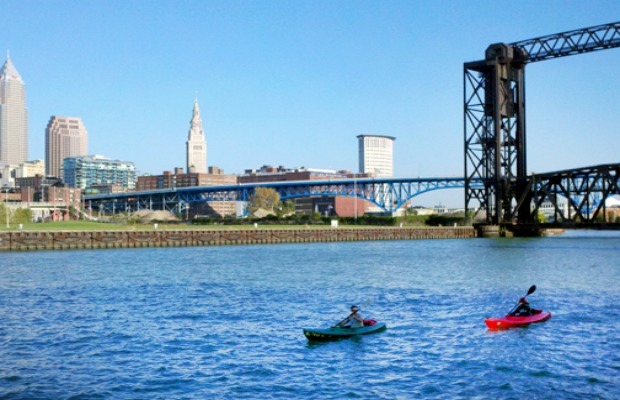 The Cuyahoga River, which takes its names from the Iroquoian word for 'crooked river,' will perhaps always be remembered as the river that was so polluted it caught fire. But water quality has improved a lot since Time magazine's 1969 characterization of it as a river that "oozes rather than flows," in which a person "does not drown but decays." The 1969 burning of the Cuyahoga River inspired the creation of the Clean Water Act, the Environmental Protection Agency, and an R.E.M. song. 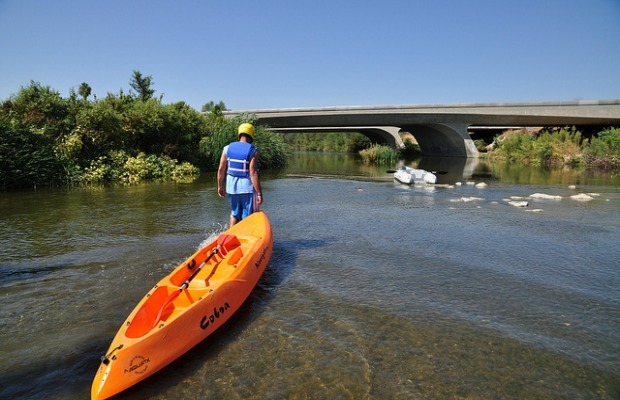 Although pollution remains a problem in some areas, the ongoing ecological recovery of the river has slowly attracted people back into the water – especially kayakers who are drawn to the middle section's expert class Class IV whitewater. The National Park Service does still discourage making contact with the river water, though. 1969 was a bad time for Midwestern rivers: the heavily polluted River Rouge in the Detroit area also caught fire that year. Perhaps unsurprisingly, the most heavily polluted stretch of the water is the part that runs through the Ford Motor Company complex, but the quality of water overall has improved greatly since a massive cleanup operation was initiated by Friends of the Rouge in the early 1990s. 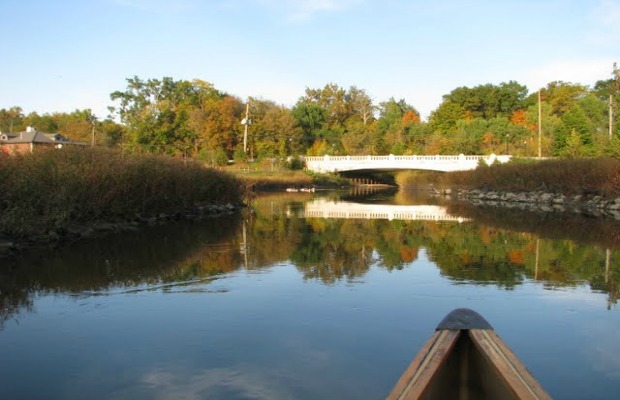 While getting in the water is still frowned upon, Friends of the Rouge cautiously recommend one canoe route and one kayak route – advising paddlers to stay away after rainfall.